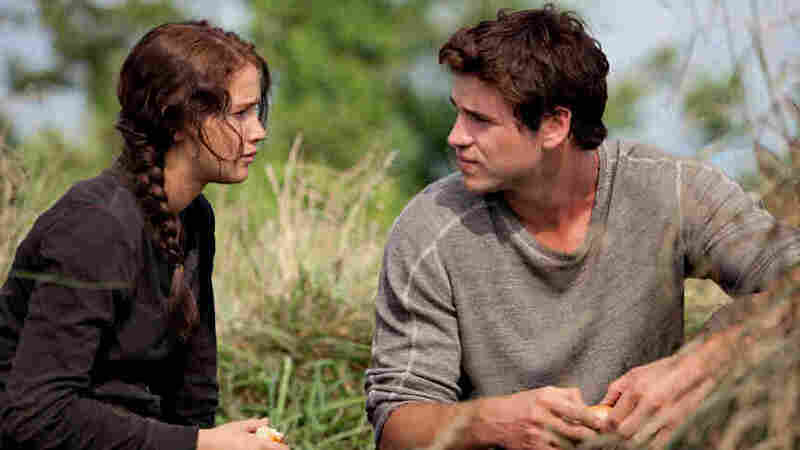 From Page To Screen: Hollywood Targets YA Fiction With this weekend's release of The Hunger Games, so begins another blockbuster movie based on a series of young-adult literature. Critc Bob Mondello considers the relatively short history of Hollywood's new popular habit of targeting pre-teens at the box office. It's a relatively new category — one that didn't really exist before the eight Harry Potter films raked in a precedent-shattering $7.6 billion at box offices worldwide (and billions more in DVD and merchandise sales). These days, every film studio is scouring bestseller lists for the next teen franchise. But until the Potter films came along, the industry tended to think of adaptations of popular novels mostly in terms of broader demographics — aiming Robert Louis Stevenson's Swiss Family Robinson squarely at family audiences, Peter Benchley's Jaws at the horror crowd, and so forth. And there weren't really all that many series available. The Hardy Boys and Nancy Drew books were optioned for television. Edgar Rice Burroughs wrote plenty of Tarzan novels that were turned into movies, but like most films in the years before the MPAA ratings system began segregating audiences into age groups, they were aimed at general audiences. It wasn't until the 1950s and '60s, when such stars as James Dean and Annette Funicello began being marketed to younger audiences, that Hollywood thought seriously about the frequent moviegoing habits and distinctive movie tastes of teenagers. What J.K. Rowling's teen wizard established was that young-adult fiction — otherwise represented on screen primarily in high-school romances (Nick and Norah's Infinite Playlist) and films about rebels with causes (The Outsiders) — could produce more than one-shot hits at the multiplex. With its young audience literally growing up with the characters, the Harry Potter series had box-office "legs" that put it in the rarefied company of the previously unsurpassed James Bond franchise. The Twilight books, Stephenie Meyer's girl/werewolf/vampire fantasies, were the next mega-hits ($2.6 billion worldwide, with one movie still to come). With studios jockeying for other blockbuster candidates, there've been a few big-screen misfires (Rick Riordan's Percy Jackson and the Olympians, which barely earned back its production costs, but will nonetheless have a sequel) and wanna-bes (Pittacus Lore's Lorian Legacies; the first book, I Am Number Four, spent seven weeks atop bestseller lists, but tanked at the box office). That may explain why publicists for Lionsgate Pictures had been cagey until this weekend about the possibility of Hunger Games sequels. But with the film selling millions of tickets before prints even shipped to theaters, the studio is now talking about the trilogy becoming — in the tradition of the Potter and Twilight series, each of which split the final novel into two parts — a four-film franchise.